01:43:984 (3) - x:292 and y:212 would blanket it very nicely.. You’d have to move 01:45:288 (2) slightly down afterward but it makes for a nice aesthetic. The fact that all i have to say on this diff is blankets means its pretty much ready for rank. Overall disappointed with the overall aesthetic of the diff (considering is a really beautiful song..) but eh to each their own. denied all because i don't want to take my patterns apart to create unnecessary blankets. it may look "ugly" or "not neat" to you guys but believe me when I say that I've placed all these patterns in a way that looks aesthetically pleasing to me. 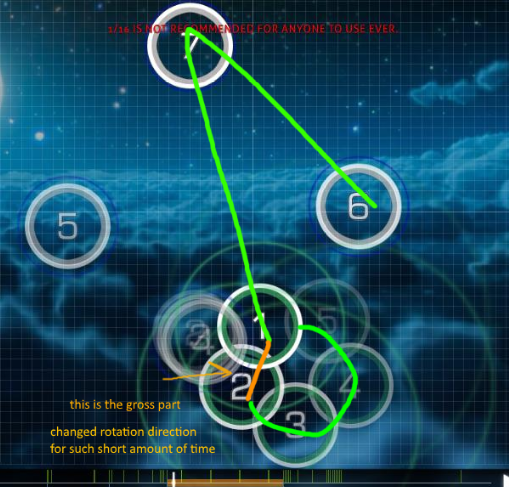 to _DT3: take a look at some newbie replays yourself; i'm confident that it will cause no problems at all if the sliders don't all point at each other perfectly. 00:11:702 (2) - 00:14:310 (2) - delete Whistle? this 01:53:115 (2) - https://osu.ppy.sh/ss/5589063 ? 00:52:462 (43,3) - pls stack more note.. I'm going to soon upload a temporary keysounded version of Skyloft, made by mithew. (I can't upload it right now because the audio files are too large sadly). I'd like to possibly hear feedback from what you have to say about the keysounding and if the feedback is mostly positive, I will consider adding it to the set. Thank you! Will edit this post with response to mods in a bit. fixed all the non-smoother ones (hopefully). should have cleaner flow now. thank you! 00:20:506 (1,1,1) - im going to say the same thing here that i said for hard. The fact that you did it twice and smoothie even did leads me to believe you have a reasoning for doing this that i just cant seem to figure out. So even if you leave this, please take into account the strong note at 00:21:158. It needs to be clickable, otherwise it just doesnt feel right. You're right, but the problem with this part is that to most people, it feels like 1/3 despite it being normal 1/4 in the song, so I made the repeat sliders go over the strong part to not mess up players. 00:29:310 (2,3,4) - not sure why these notes are getting closer together.. Seems random I like this effect, i feel like it represents the piano better. This whole "moving forward but stopping short" thingy to me adds to the melancholy feeling the piano seems to have in this section. you mapped the kiai beautifully that's always a nice thing to hear. thank you!! 01:31:593 (1) - move to x:188 y:244? ooh, i like that blanket idea. moved. 00:20:506 (1,1,1) - The instrument starts on the first circle. Just delete 00:20:506 (1), and then move the the two reverse sliders so the first one is at 00:20:506. Also: DEFINITELY put a clickable object at 00:21:158. 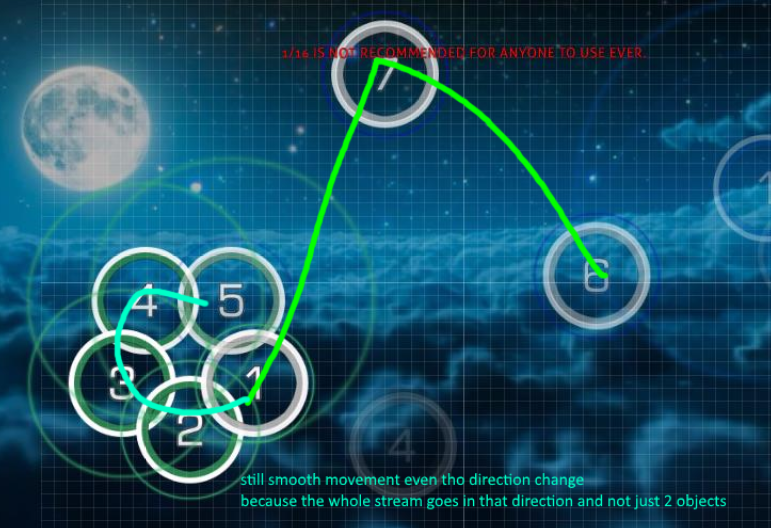 That is a very powerful note same reason as Skyloft diff, also if you look at ktgster's mod i feel like this mroe accurately represents the rhythm here. 00:31:593 (1,2,3,4) - i dont like the lowered spacing here… and also the spacing for 00:34:202 (1,2,3,4) isnt consistent with 00:31:593 (1,2,3,4) I lowered it because the song seemed to lower in intensity at this part, but I feel like i lowered it too much so i increased it a bit. Thank you everyone! Expect a mod back in the next couple of days. 01:02:571 (5,6,1) - i wouldn't space these out. 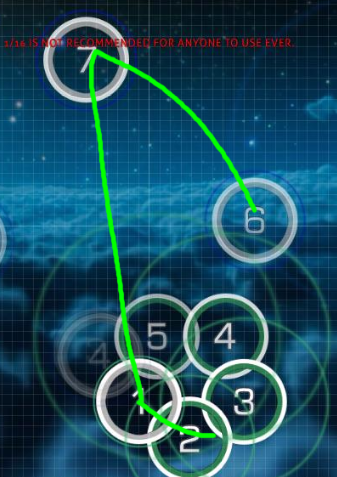 creates a lot of very sudden stress from the first actual 1/2 rhythm of the map clicks-wise coupled on top of this having the highest velocity of the map. stacked would be better. 01:12:517 (2,3,4,5,1) - i really don't like the flow here, i think it'll be very stressful to hit. this whole kiai section i think needs a revisit with some more stacking instead of all this high spacing and/or more balance throughout the diff to compensate. 00:11:375 (2,1) - 00:13:984 (2,1) - really not a fan of these transitions, to me it makes the fact that you curved 2 the way you did pointless, and if you're going to lead the flow in a different direction you should adjust the slider to match, or vice versa. 00:51:158 (1,2,3,4,1,2,3,4) - i don't think i can express in words how much i hate patterns like these but i can say that from my experience they play like crap from the mostly linear flow into jumps on the downbeats. drum-hitfinish5.wav does not have a delay of sound at all, though it may seem like it in audio editors. It can, however, be trimmed a bit in the front, as the sound in the first 5ms is negligible. 00:00:289 - the whistles sound so nuclear. I recommend changing the volume to 15%-20% here. 00:10:723 - you don't have to change the volume, as the song doesn't change much. ^ still applies if you decided to do it. 00:21:158 - Along with these ^ you should make a tick here that reduces the volume to 25%-30%. 00:25:071 - and then change the volume levels to match the previous tick. 00:04:853 (2) - this hitsound strays from the first pattern and makes things after it sound weird. I recommend moving the whistle to here 00:04:853 (2) - and maybe making use of a default whistle 00:04:853 (2) - here. If you do use a default whistle, you'll have to change the sampleset to default and change the volume levels on that specific circle to 10% (or lower if you changed your beginning volumes) to compensate for your custom soft-hitnormal sound. 00:11:375 (3) - three in a row is a bit to much for the ears >.> I recommend removing the whistle here. It sounds so nuclear. 00:40:723 (1) - eh, it's a changing moment, you can add a clap there. 00:42:028 - the whistle spam in this section is pretty gross xd. And it's accompanied by a sampleset-normal that isn't really audible in this portion of the song. This covers only whistles and finishes, but mostly whistles so "add" means "add whistle" and the same for "remove" meaning "remove whistle" unless I say it's a finish. 00:48:549 (1) - remove the whistle from the end. It makes everything after sound so much better. 01:08:115 (1) - the fact that there's nothing on the head disappoints me a lot. I recommend normal sampleset finish here. (Or auto sampleset and normal addition finish if you don't like the normal sampleset sound) normal addition finish sounds better to me here. 01:18:549 (1) - "the fact that there's nothing on the head disappoints me a lot. I recommend normal sampleset finish here. (Or auto sampleset and normal addition finish if you don't like the normal sampleset sound) normal addition finish sounds better to me here." I think that's it for the hitsounds. If you didn't understand something, just pm in-game ofc. now to my opinions on the flow. 00:43:821 (2,3,4,5,6,1) - this overall pattern just feels bad to me... But I don't have much to suggest. It feels better, but idk how you'd feel about the aesthetic. 00:47:571 (2,3,4,5,6) - don't know if you want to change the aesthetic or not, so I'll leave a small suggestion: switch 00:47:734 (3,4) - these. It currently feels so awkward to play, and the follow points look cooler this way. Just a me thing here: 01:23:115 (1,2,1,2) - I feel like the mouse could be a bit more lethargic and free here so I changed the combination. 01:23:441 (1) - first 01:23:278 (2) - second, 01:23:115 (1) - third, 01:23:604 (2) - fourth. Toootally up to you, I just thought it was kinda cool. 00:51:158 (1,2,3,4,1,2,3,4) - i don't think i can express in words how much i hate patterns like these but i can say that from my experience they play like crap from the mostly linear flow into jumps on the downbeats. disagree, i think they play nicely and are a nice pattern to increase spacing on (due to intensity changes in the song), also i used this pattern a lot in a prototype version of this diff so i’m gonna keep it. 00:21:158- is there a particular reason for the varying note spacings during this section? if there is then it'd be fine to leave but i just want to know, since otherwise it'd be nice to keep it all the same they’re the same spacing though? 00:30:288 (6) - Placing it at (5)'s right reduces its impact a lot imo. 01:22:462 (1,2) - This part deserves to be more intense. Use more circles please. 01:45:615 - 01:48:223 - 01:50:180 - is there any reason to skip them ? 01:53:767 (6,1) - Considering it's the only stack in your diff it may be really unpredictable and hard to read for beginners, gather more opinions. 00:21:158 - What about a direction change here ? 00:22:462 - Feels kinda weird to skip the claps like that tbh. 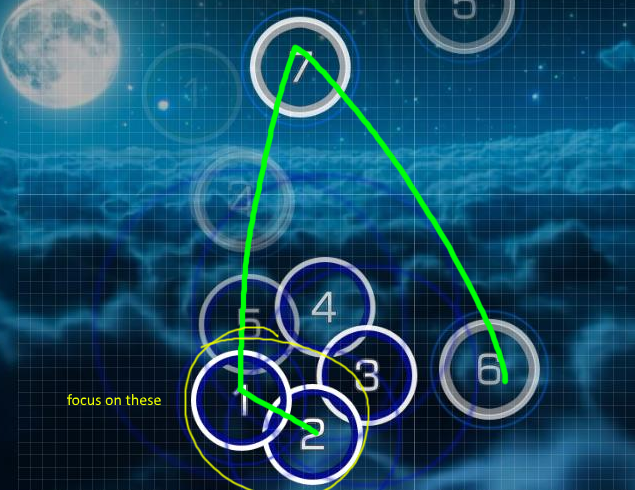 You should at least replace (4) circles by sliders so it kinda fits better with the last sound while mapping them. 01:05:995 (2,3) - and 01:05:995 (2) - are not following the same instrument. It makes the empty blue tick at 01:05:669 - feel kinda weird. Consider changing this. Same goes for next patterns. 01:23:278 - Is there any reason to skip it ? 01:33:875 - The break here is too short. It will kill most of the beginners. 00:20:180 (4,1,1) - This spacing is really really confusing and unexpected. Consider changing it. 01:08:604 (2,3,4) - The flow is weird here, especially the speed increase at 01:08:930 - . Consider making it smoother. 00:11:375 (2) - remove whistle on its end ? 00:38:115 (1) - Its shape doesn't really fit with the song. 00:49:691 (6) - This is way too loud. Reduce it please. 00:55:397 (2,3,4) - The stack gives too much emphasize to 00:55:886 (5) - imo. 01:17:408 (1,2) - CTRL+G so it's as smooth as 01:06:647 (6,1,2) -. Plays better like that. 00:23:767 (1,2,3) - Use a slider instead so it fits better with the flute since it's what you intended to map according to 00:25:071 (1,2,3,4,5,6,1) - . 00:49:691 (4) - Same as Insane, reduce its volume please. 00:44:799 (2,3,4) - Probably exagerated tbh. I'm maybe too weak but I didn't find any major flaw. 00:10:723- you don't have to change the volume, as the song doesn't change much. ^ still applies if you decided to do it. Changed to 25% because there are sounds in the background that to me justify having to raise the volume by 5%. 00:21:158- Along with these ^ you should make a tick here that reduces the volume to 25%-30%. 00:18:549 - increased volume here to 30% because the song does get stronger to justify that, for 00:20:669 - i gradually increased volume by increments of 5% and reduced it back to 30% at 00:21:158 - as you said. 00:11:375 (3)- three in a row is a bit to much for the ears >.> I recommend removing the whistle here. It sounds so nuclear. Yeah agree, i copied this sound pattern from rrtyui’s mapset and it had 3 whistles in a row, got rid of it. 00:48:549 (1)- remove the whistle from the end. It makes everything after sound so much better. Just a me thing here: 01:23:115 (1,2,1,2)- I feel like the mouse could be a bit more lethargic and free here so I changed the combination. Thank you so much! This was a very helpful mod. Applied hitsounds to all diffs. I also fixed a pretty significant rounding error on the flower streams in Skyloft (ugh), should be better now. 00:29:636 (3,4)- overlap doesn’t look like they do? 00:20:180 (4,1,1)- This spacing is really really confusing and unexpected. Consider changing it. Spacing is the same as previous notes? Thanks for the mod! Appreciate it a lot. Only thing left is the check from Nathan, thank you very much for supporting this set! Gonna finish up on all the m4ms I missed. EDIT: Changed metadata source to "BMS", since it seems to have a bigger impact there and it came before the Deemo feature. Added "Deemo" and "Rayark" to tags. Last edited by Xilver15 July 22, 2016 at 12:19:41 AM GMT , edited 1 times in total.